Tennis Estates homes are located in the Northwest Huntington Beach area of Huntington Beach, California. 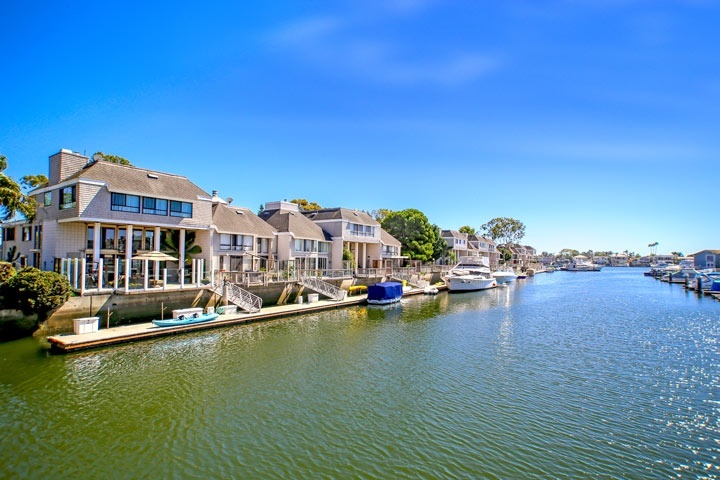 Tennis Estates is a great community of 63 townhouses that sits next to Huntington Harbour with select townhouses offering wonderful waterfront views as pictured above. The complex was built in 1973 and features two to three bedroom condos that range in size from 1,780 to 3,000 square feet of living space. This is a gated community with private boat slips that belong to select properties. The views include of the Humbolt Island and Christina Bay communities. The association provides a nice community pool and spa area that are included in the monthly dues. Below are the current Tennis Estates townhouses for sale and for lease. Please contact us at 1-888-990-7111 with questions regarding this community and any of the houses listed for sale here.